The original version, now for the first time in Europe! Despite the release of Super Mario Galaxy 2 today, Nintendo of Europe isn't neglecting their download services. The Virtual Console gets a new one-off import game while WiiWare and DSiWare get a whole bunch of catchup titles, plus one completely new game. NEVES Plus: Pantheon of Tangrams (500pts - Abylight) -- It took almost a year for it to be released here, but at least it's finally available! In this fairly simple puzzle game, you're presented with a number of fragments which you must assemble into a specific shape. With tons of puzzles on offer and a slightly lower price of just 500 Wii Points rather than 600, it's a pretty good buy. Check out our NEVES Plus review to see more reasons. Mister Bumblebee Racing Champion (500pts - h2f Games) -- The only release this week not already previously released elsewhere, this seems to be a racing game in which you play as bees, ladybugs and other garden insects. We'll have a review soon. Final Fantasy II (900pts - Square Enix) -- This is really Final Fantasy IV, but as the second and third games were not originally released in North America, the game was retitled to make more sense. Europe never got any Final Fantasy games until VII, so it's even weirder for us, but nevertheless, you can now play the original North American translation of IV, confusingly known as II, as an import! Read our Final Fantasy II review to find out more. Fieldrunners (500pts - Subatomic Studios) -- Another tower defense title, in which the objective is, as usual, to strategically place towers that will take out the incoming enemy forces, gaining resources for more towers in the process. Read our Fieldrunners review to see why this is one of the better DSiWare tower defense games. Advanced Circuits (200pts - BiP Media) -- A puzzler in which you have to correctly assemble a road in order to let certain vehicles move around with no problems. More simple fun, and for only 200 DSi Points it's a solid buy. Check out our Advanced Circuits review for the low-down. Puffins: Let's Roll (500pts - Other Ocean Interactive) -- Another puzzler of sorts, in which you must roll puffin eggs towards the exit in each level using the touch screen. Sadly, however, the controls don't seem to function quite as well as intended, read our Puffins: Let's Roll review to find out why! A Topsy Turvy Life: The Turvys Strike Back (200pts - Tecmo) -- Another game in which things are totally turned upside down. In this one, you're playing shoot 'em ups as the bad guys. Sounds fun, but it gets repetitive rather fast, as our A Topsy Turvy Life: The Turvys Strike Back review will gladly inform you. Tales in a Box: Hidden shapes in perspective! (500pts - Nintendo) -- It's got a different title in every region, but this is indeed that 3D diorama game in which you can look around using the DSi's camera. It's pretty neat, but our Looksley's Line Up review will tell you why it's not really great. No press release to accompany today's releases, so you'll have to make do with this! Will you be getting anything or will you be too busy with a certain Wii retail game today? Every EU DSi owner should get Fieldrunners. Such a good game! That's a heck of an update - awesome stuff! However, the bit about Final Fantasy II (or IV, if you're being correct), is wrong. It has been available in PAL territories previously, as part of the Final Fantasy Anthology release on the Playstaion - that had both Final Fantasy IV and V in it. Mister... Bumblebee... Racing... Championship... what the? Awesome VC game you guys got today! Meh. Europe doesn't get a lot of games, so we just import the NAmerican ones. I've had both FF II (for GBA) and FF IV (for DS) for quite a while already. I won't be downloading any of these but SMG2 is out today anyway so even if there was something I wanted, it would have to wait. Nothing for me this week. NEVES doesn't really appeal to me for some reason. I'm curious if the Wii Shop Channel description of Final Fantasy II(IV) also mentions how it it really Final Fantasy IV like in the US description. Final Fantasy is finally mine. It does. You don't even need a Euro-Wii to check. It says so on the website's page as well. Mr. Bumblebee looks pretty good graphics-wise. Just looking at the manual the only downside that's apparent is that there are only six tracks and four players. As the name suggests it's a flying racing game like AiRace or Slipstream 5000. Of course there's still the concern that it may be a badly made game. Also funny: The programmer is called Christian Köhler. And the background music in the trailer is "Flight of the bumblebees". Give me an old Final Fantasy over a Super Mario Galaxy 2 any day! Tales in a Box: Hidden shapes in perspective!????? How does FF II compare to BoF II? i bought BoF II a couple of years ago on the VC, but since then i've only played about 12 h (accodring to my "play-records") i find it quite slow and tedious, and i always get lost because there is no map and no one ever tells you where to go, i also find the game to be quite grind-y. 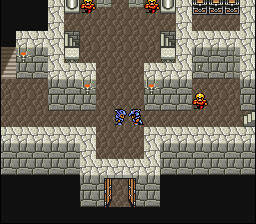 So how does it compare to FF II? I have never played these old jrpgs so to me both of the games look very much the same. Same 16 bit graphics, art style etc. Is there anything gameplay wise that sets it apart? Argggh, Tales in a Box didn't come out in Australia. I even loaded up 1000 points this morning to get it! Definitely should've checked if it had actually come out here first, lesson learned. I wonder if there's any chance of it coming to Australia in the future..
Great week. Neves Plus and Final Fantasy II for me. Bobpie: More informative than Looksley's Lineup I'd say. @cr00mz: BoF 2 doesn't hold a candle to Final Fantasy II! Much better story for FF, better music, better everything really. @cr00mz: Final Fantasy II has a better battlesystem too. It was the first game with "active time battle", so it´s less tedious than BoFII´s take-turns-battle. FFII is actually more fastpaced than FFVII, VIII & IX (no loading, quick animations). Hmmmmmm.....I'm a big fan of Final Fantasy Legends on the Game Boy, I might get this if I can rustle up the points. What are the chances of seeing FFVI within 2010? puzzle fans should look at NEVES, too. I like it! No chance, Croz. Japan hasn't even gotten it yet. Interested in "The Turvys Strike Back", despite your review for it. The concept is so fun, and it's only 200 pts, so what the hey. FFII may well be my first foray into Final Fantasy since an abortive play of FFVII on the Playstation when I was turned off by the random encounters and turn-based battling. Now that I enjoy the latter, it will hopefully be better received. Looksley sold pretty well in the states so I would expect it to make it to make it down to you guys any time now based on the fact that it stayed in the top 20 DL's for some time.